A little disclaimer: no, I am not one of those "guys" at the crossfit gym. You know, the one that can't touch his elbows together, seeps supplements and protein out of their pores, and ends every sentence with "the gym is life, bro". After successfully, and painfully completing my first 2 months at a crossfit gym, it's clear to me that it's very much a communicative, and team effort. So, I started thinking, how is this any different than the communication efforts in at an inbound marketing agency? Well, it's really not. I didn't realize how much this would affect my experience at a gym, but then I thought how poorly my form was back in my hockey heyday, and how much I could be setting my body up for injury. The proper coaching made every bit of difference, both with a positive morale push, and the proper guidance on technique. In our industry, it's not necessarily a given that you will understand our communication techniques on the first day. Internal communication is clearly different than external communication, but as an agency and a brand, a lot of the language should remain constant. At Revenue River, we use the power of Slack for internal communication. Slack allows us to create private groups, that we break down by specific client. It allows for easy file sharing and awesome app integrations that we are just scratching the surface of. Much like every gym has certain quirks and consistent coaches and educational points, our agency does as well. 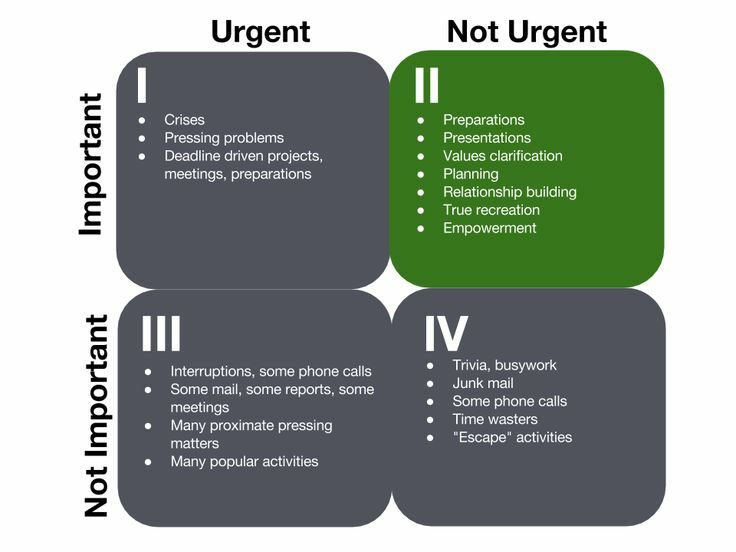 Using a timely and open communication frame, we are able to reach anyone, even when we are remote. For external communications and for client meetings, we stick to agendas that help maintain the timeframe we allot for meetings, getting both ourselves and our clients back to work in an effective manner. With crossfit workouts, you start to understand the effectiveness after about 10 minutes. Side note: I wanted to die after the first 5...so...yeah. But, the point being, that crossfit WOD's (workout of the day) are meant to physically test you in a short period of time, with very few movements. It's not an hour or two hour session in the gym, hitting every machine and feeling "accomplished". A WOD can be straight forward and to the point, much like how we try and run both internal and external meetings at Revenue River. It's easy to get distracted, but a big worry for us is falling into a "death by meeting" attitude. There isn't enough time in the day to get everything that we want done, everyone knows that. 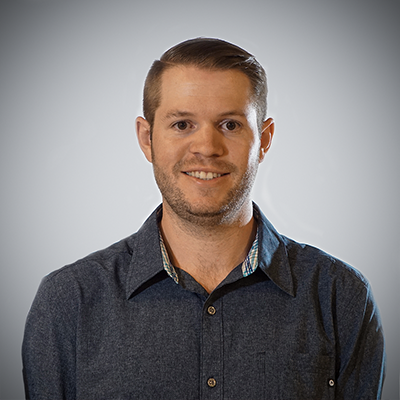 Thrown into the mix are both internal team meetings and client calls that happen daily. With an organization that prides themselves on calendaring, it's vital that we stick to an agenda. Using a traction style meeting agenda, our team is able to effectively and consistently drive calls and give and receive vital information to help us move forward through the week. Keeping our team focused on priorities, while holding everyone accountable ensures that our clients understand, and our team understands what needs to happen to move the needle that week. Much like a WOD, stick to the "ABC's" of the workout, and stick to the agenda. If you are off course, reel it back in. 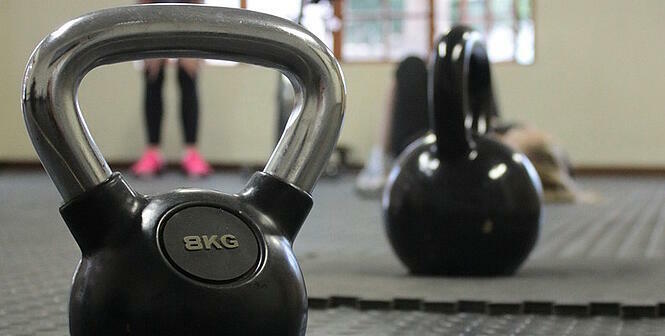 Getting through a WOD can be tough, and painful, and make you never want to see a kettle bell again. There are plenty of manuevers I still can't do...damn you handstand pushups. Crossfit can be very individualistic during some workouts, but you're never alone. The coaches, other participants, or even your partner during a team workout are the driving force that can help you make it to the end. It's pretty simple: would you rather try and grind out that last squat in peace and quiet, or would you want someone there to give you that high five after the fact? Okay, some of you will think solitude is nice, but for me, teamwork makes the dreamwork. High fives all around! In the workplace, it's no different. You have to communicate or you will NOT survive. It's not about isolating someone's weaknesses and pointing them out, that's not an effective way to communicate. Build confidence, make it known when someone is excelling. We work in an environment where creativity and expertise is encouraged. Even constructive feedback is a positive benefactor. Our team thrives on feedback, both internally and from a client perspective. A simple "how are we doing on agenda and time" in a meeting, or "do you feel this is a good approach" can help maintain a working relationship that will build trust and rapport. Pro Tip: Send out a "weekly win" email to all of your clients. Get creative, find something that sticks out in a positive way within their campaign, maybe a blog post that gathered the most views to date, or an email that had a big open to submission rate. Show everyone, not just your client, that inbound marketing can make an impact in more areas than one. How does the old saying go? Sometimes things don't go as planned? I think that's it. Well, they don't! Much like showing up at the gym, and realizing there is no way in hell you will be able to do that workout. It's okay, take a deep breath, there's a little word called "modify", and it's going to be your best friend. With people at all levels of the fitness spectrum attending classes, it's unrealistic that everyone will be lifting the same amount of weight, and that's fine! Flexibility is key. The idea is to try and maintain a mostly Q1 & Q2 task list. At Revenue River, our schedules are always packed with a little Q2 time. But, where you may need to modify on the fly is when something "Q1" pops up. It's okay to say "I can't right now" or "can we discuss this later today", avoid the Q3 and Q4 holes that you can get sucked into. If a client or someone crucial to a meeting misses it, don't lament. Turn that time into production, sending out a follow up email with everything "agenda wise" you were going to cover during the meeting. Rescheduling isn't always the answer. Modify to be more effective. Crossfit is fun, even when you get home and sitting down makes you cry because you are sore. I am a social person, and the communication that commences in the crossfit gym helps me build on these skills and use them in office. An open communication system in the workplace is key, and letting your employees and clients know can spell the difference between success and failure. Talk to us, and find out for yourself.